Pure premium cotton fibers, extra absorbent, naturally soft and hygienic. Convenient coil ideal for perms, facials, skin care, and manicures. Use as a headband for perms and tints, catches drips and quickly absorbs solutions. Use as a puff for facials and make-up application and removal. Also great for removing nail polish and cleaning nails. Black plastic dispenser for Neck Essentials Style Strips (see above). For convenience and sanitary one-at-a-time dispensing. Black plastic dispenser for Sanek neck strips and regular styling strips. For convenience and sanitary one-at-a-time dispensing. Black upholstery with high density foam and shoe protection flap. Simple to use 60-minute countdown timer. 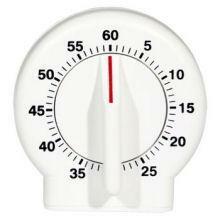 To activate the bell, turn the dial clockwise to 60 and then counter-clockwise to the desired number of minutes. The bell will ring when the time has elapsed. Comes with a hole for hanging or mounting the timer to a wall. 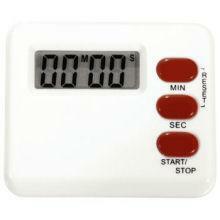 Simple to use 60-minute countdown timer displays minutes and seconds on a high contrast LCD display. Sounds an electronic chirping tone when time is up. Has 3 easy to use function buttons: Minutes, Seconds, and Start/Stop. The Start/Stop button allows you to countdown time from a maximum of 60 minutes. Comes with a pocket/belt clip and a magnet for holding the timer to refrigerator or stove. 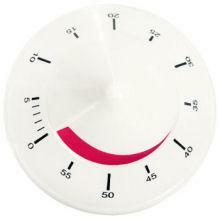 Also, has a handy fold-out stand to set the timer on a table or counter. Uses 1 button battery (included). Clip-on gorgeous feather hair extension. Some come with synthetic colored hair. Brand new. Click on the feather to view a larger image.